An exedra is a semi-circular structure, often with a bench with a high back. Sometimes there is an architectural feature in the center of the exedra, often with statuary or the family name. In this example, the doric columns and the pediment add to the classical feel of the design, fitting for a contrivance that is classical in origin. Originally the exedra was designed in antiquity to facilitate philosophical discussion and debate. 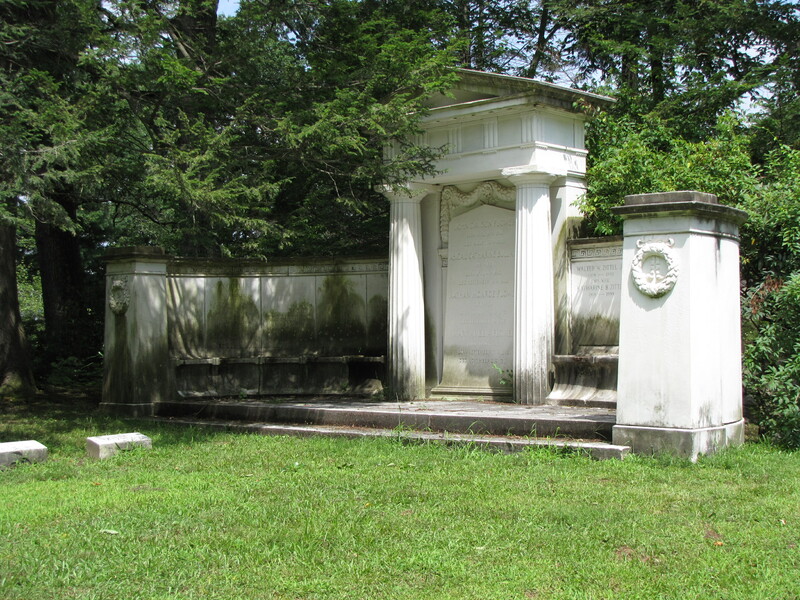 In cemetery architecture the exedra is usually part of a landscape design.